Founded by the Romans, the City of Chester is essentially a medieval city with a wealth of historic buildings located within the City walls. 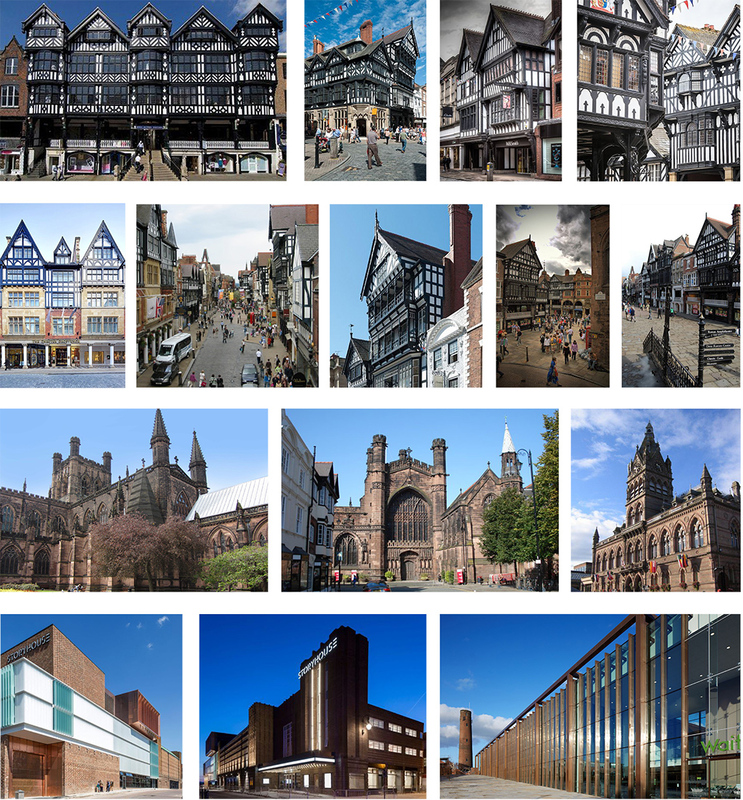 Chester has arguably one of the finest collections of timber framed buildings in the UK which provide a distinct character to the City centre alongside finely detailed natural stone and brickwork buildings. The largely Gothic styled cathedral and the magnificent Victorian Town Hall provide historic focal points within the City. The townscape is rich and varied with a vertical rhythm to the façades and fine details at a close scale as well as a number of the timber framed buildings stepping out vertically across their façades. Chester has a number of contemporary buildings using a modern palette of materials for example the warm toned metal and glass façade of the new Waitrose and the highly successful Storyhouse adjacent to the site. These exemplify the forward looking nature of the City whilst embodying a sense of quality and refinement, characteristics of Chester’s historic buildings.